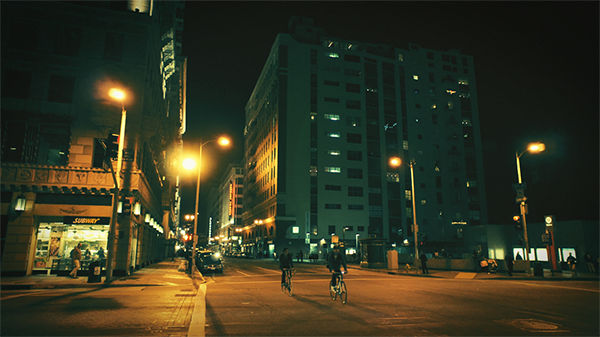 Taking a walk towards Pershing Square one night while out for drinks and dining, i spotted these two bikers riding late at night. It fascinated my how quickly the colors of the buildings changed with each passing light, adding depth this street and the bikers route. Pershing Square is one of my favorite exits off the Metro because of its grand views and populated streets which give you the grand Downtown experience.